With Christmas just around the corner, what do you give someone who loves the beach? 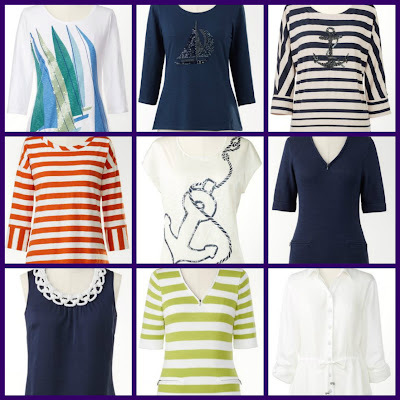 Most women would love a nautical style top. In fact, I'm giving the Ship in the Night Tee to my mother-in-law. (Hope she doesn't read this blog). :) The following nautical tops are all from Coldwater Creek. Use coupon code SNOWFLAKE to receive 40% off your order and free shipping through 12/17.